Update: Laura has lost 212 pounds. My story was featured in March 2017. Aug 1st. 2017 was the one year of my journey. I’m now down 191 pounds. That’s almost 200lbs in less then a year. I have continued my transformation by continuing on my personalized meal plan and personalized workout regimen from my trainer Obona Moren owner of Body By Obona . What has worked for me is eating every 2-3 hours a day and eliminating salt and sugar from my diet. No junk food and no cheat days. I go to the gym daily. No days off has been my mindset. I do 35 minutes of high intensity cardio and 45 minutes of weight training, followed by a 15 minute cool down. I have limited loose skin because I do more weight training than cardio. Of the lessons have you learned on this journey, what stands out the most? I have learned to never ever give up on YOU. The journey is amazing once you accept it as yours. Claim your victory. Never doubt yourself and push become your biggest cheerleader. Surround yourself with positive, inspirational people who know your goal and believe in you. Get rid of anything toxic in your life. The key is to take one day at a time and to give 110%. 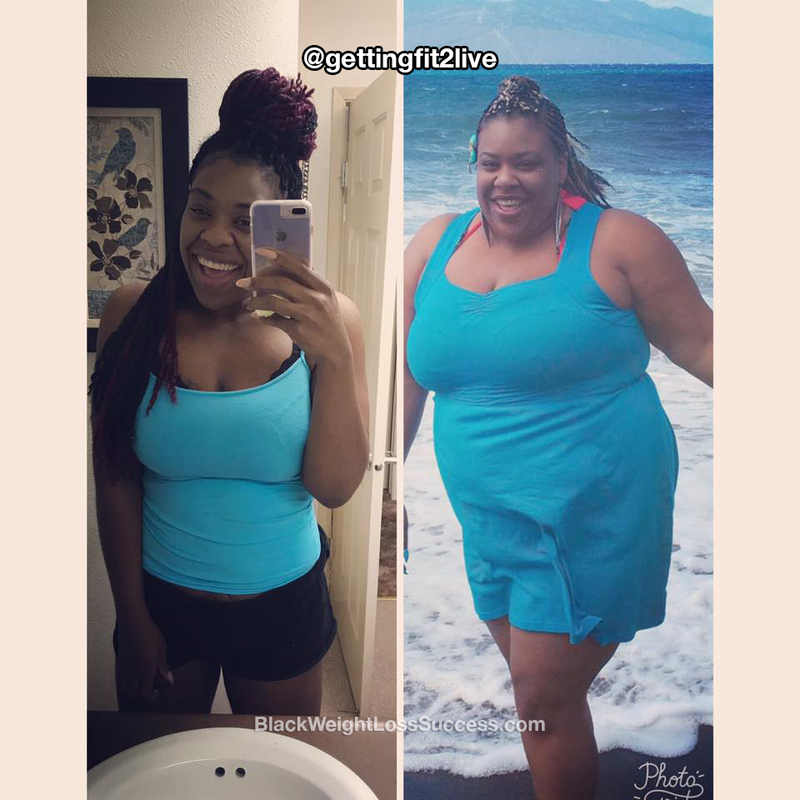 At this point, would you offer any new or different advice to women who want to lose weight? My advice to all my beautiful women is that procrastination doesn’t get results, trying does and hat’s all it takes. Check out what she shared with us back in March.